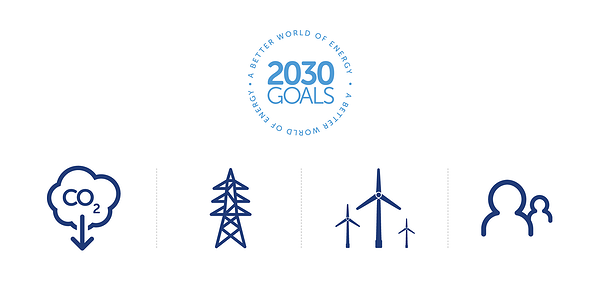 SSE has set stretching new targets for 2030 in a bid to tackle climate change and support global goals for sustainable development. A few years ago, I was talking to a marketing agency about the SSE Business Energy brand and what direction we should be taking. They said something that I completely disagreed with then, and still do now; that we should steer clear from sustainability as it was ‘old news’. One of the things that drew me to work for SSE Business Energy a few years ago was the fact that SSE prides itself on being a responsible company, and works hard to do the right thing. SSE has been Fair Tax accredited for three consecutive years and has been a Living Wage accredited employer in the UK since 2013. SSE has reaffirmed its commitment to tackling climate change by issuing the biggest ever green bond by a UK company. The €600m bond is the first of its kind issued by a UK headquartered energy company and supports not only the development of an active UK market in environmentally-friendly capital market products but, perhaps most importantly shows a strong commitment towards the environment and future generations.